Thinking of Giving to Charity? Here are some options for giving! Cash: Cash gifts are the easiest to give to a charity, both in terms of substantiating the deduction and in determining the value of the gift. But, cash may be your most expensive option. Real Estate: Real estate that is owned outright and which has appreciated in value can be given to a charity. The donor can generally deduct the fair market value of the property, up to an adjusted gross income (AGI) percentage limitation. When a charity sells donated appreciated property, the capital gain then escapes taxation, up to AGI percentage limits. Securities: The best securities to donate tend to be those that have increased substantially in value. As with real estate, the donor can generally deduct the fair market value of the security and the capital gain escapes taxation when the security is sold by the charity. Gifts of cash and ordinary income property are generally deductible up to 50% of the donor’s adjusted gross income (AGI). The fair market value of gifts of long-term capital gains property (e.g., real estate, stock) is deductible up to 30% of AGI. There is, however, a special election through which a donor may deduct up to 50% of AGI if the donor values the property at the lesser of fair market value or adjusted cost basis. Charitable contributions in excess of the percentage limitations can be carried over and deducted for up to five succeeding years. 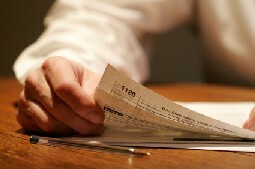 The donor must itemize income tax deductions in order to claim a charitable deduction. 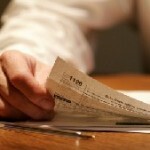 A portion of itemized deductions is phased out for taxpayers with an AGI above certain limits. Life Insurance: If a charitable organization is made the owner and beneficiary of an existing life insurance policy, the donor can deduct the value of the policy as of the date of the transfer of ownership. The donor may then deduct all future amounts given to the charity to pay the premiums. If a charity is named just the beneficiary of an insurance policy on the donor’s life, no current income tax deduction is available. At the donor’s death, however, the donor’s estate receives an estate tax charitable deduction for the full amount of the policy death benefit. Jim Lorenzen is a CERTIFIED FINANCIAL PLANNER® professional and An Accredited Investment Fiduciary® serving private clients since 1991. Jim is Founding Principal of The Independent Financial Group, a fee-only registered investment advisor with clients located across the U.S.. He is also licensed for insurance as an independent agent under California license 0C00742. The Independent Financial Group does not provide legal or tax advice and nothing contained herein should be construed as securities or investment advice, nor an opinion regarding the appropriateness of any investment to the individual reader. The general information provided should not be acted upon without obtaining specific legal, tax, and investment advice from an appropriate licensed professional. This entry was posted in Charitable Giving, Life Insurance, Planning, Retirement, Taxes and tagged Tax reduction, Tax-Free Retirement Income, Taxes in retirement. Bookmark the permalink.